In 1994 Anja Schneider moved to Berlin and started working for the private radio station Kiss FM. There she worked together with Ellen Allien. In the year 2000 she changed to Radio Fritz and moderated the show „Dance Under The Blue Moon“ every Saturday until 2017, one of the most famous German radio formats for electronic music, where she presents new releases from the club scene. Among the guests were artists like Luciano, Tiefschwarz, DJ T., M.A.N.D.Y., DJ Hell, John Tejada, Booka Shade, Tobi Neumann and Re.You. Schneider was resident DJ at Watergate (Berlin) from November 2003 to April 2005. She also became famous through her own party series with specially selected guests like Jennifer Cardini and Jesper Dahlbäck. Since the start of her own label, she has been regularly represented at Club WMF in Berlin since July 2005. Since June 2004 Anja Schneider produces together with the Berlin DJ and producer Sebo K. Tonite, her first production, was in July 2004 with some artists in the DJ charts. After the official release date in November, her first track with remixes by The Youngsters and the Dirt Crew made it into the German Club Charts at number 8. Later she made a mix compilation called Loveradio Compilation. In 2005 Schneider founded her own label Mobilee Records. With some releases from Sebo K., Pan-Pot and Exercise One the label became famous. The mobilee 003 (Anja Schneider & Sebo K – Side Leaps/Rancho Relaxo) made it into the groove charts in September 2005 on position 9. With Beyond The Valley her first album was released in 2008. Since spring 2017 she has been working for Radio Eins and moderates the show „Club Room“. 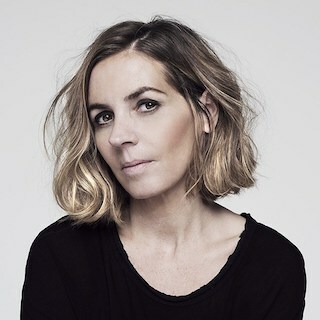 In the summer of the same year Anja Schneider announced her departure from Mobilee Records and founded the new record label Sous Music.